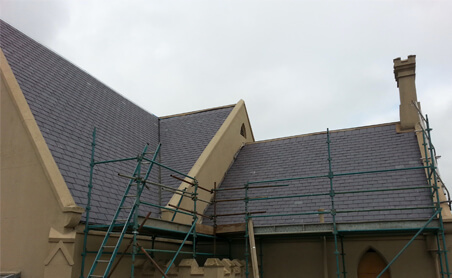 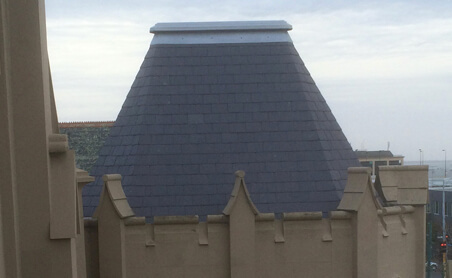 This project was a full roof restoration using a high-quality Welsh slate. 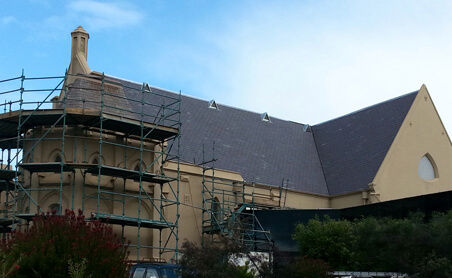 The original roof was beyond repair, so in sections all the old Slate, timber battens and ridge were removed. 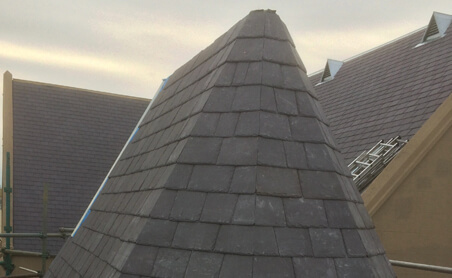 A heavy duty roof Sisalation and 45x35mm timber battens were used on this project with copper clout nails used to fix the Welsh slate. 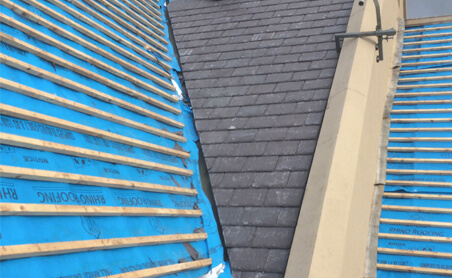 The original copper valleys were in excellent condition, so these were left in to cut down on the cost for our customer. 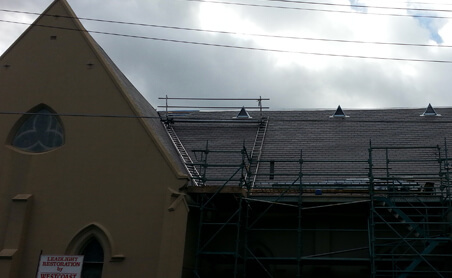 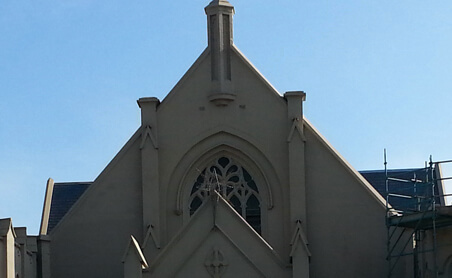 Galvanized ridge capping was used to finish this project off and all work was to a high heritage standard.